Even though it’s impossible to forget, this city constantly reminds me what a ridiculous place it is. Where else would you pay $45 for two vodka Red Bulls (ahem, The Box, I’m looking at you)? And where else would paying just slightly under $2,000 a month for a STUDIO apartment be considered a good deal? And where, please tell me, would it be reasonable to pay $79 for a roasted chicken? 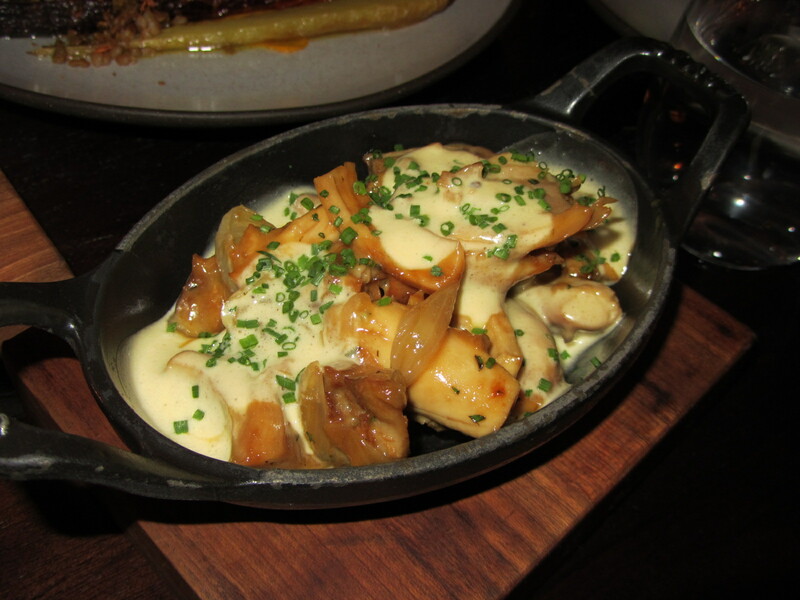 I was skeptical right from the get-go of the $79 roasted chicken on the menu at the NoMad Hotel’s restaurant. I mean, really, $79? Do you know how many whole, organic, happy, well-adjusted, all-natural-diet fed, shipped straight-from-some-idyllic-farm-where-they-ran-around-living-in-perfect-poultry-bliss chickens I can buy for $79? Yet everyone raaaaaved about the new restaurant, said how beautiful it was and how amazing the food was and what an incredible job Chef Daniel Humm (previously of Eleven Madison Park…another pricey food mecca in the city) was doing there. So I said fine, like I say fine to the pricey drinks and to the ludicrous rent I pay, and went to see what the fuss was about. And well, I get it. The restaurant is beautiful, the scene is stylish and cool, the food is delicious, and the chicken? The chicken will make you wonder whether you might possibly ever eat such a ridiculously good, eyes-rolling-in-the-back-of-your-head-in-food-ecstasy, wonderful and oh so succulent bird again. My humble, fat kid opinion? This place is worth the hype. Yes, it is stupid expensive but it’s gooood. And as I’ve said before, I’m a firm believer in occasionally treating myself to something nice. Not usually to a $79 chicken, but this time yes. 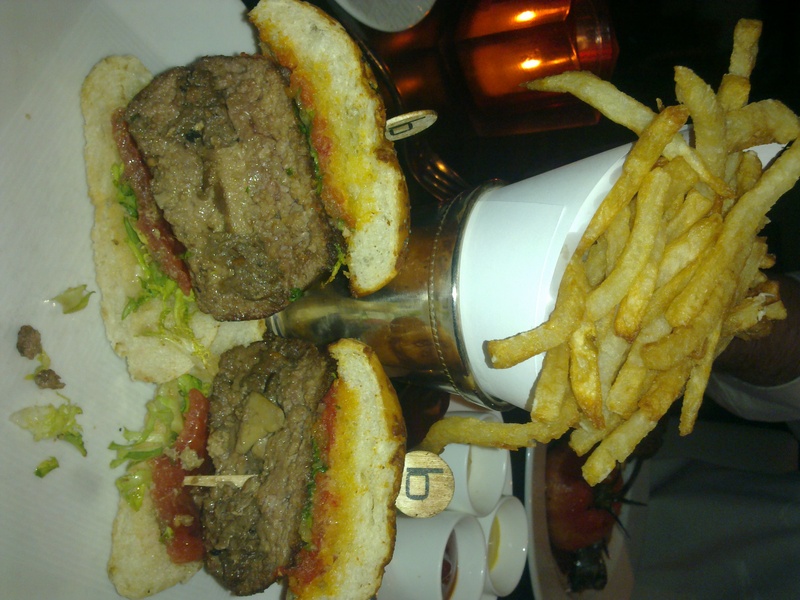 Below, my dinner with coworkers at the NoMad Hotel’s restaurant. 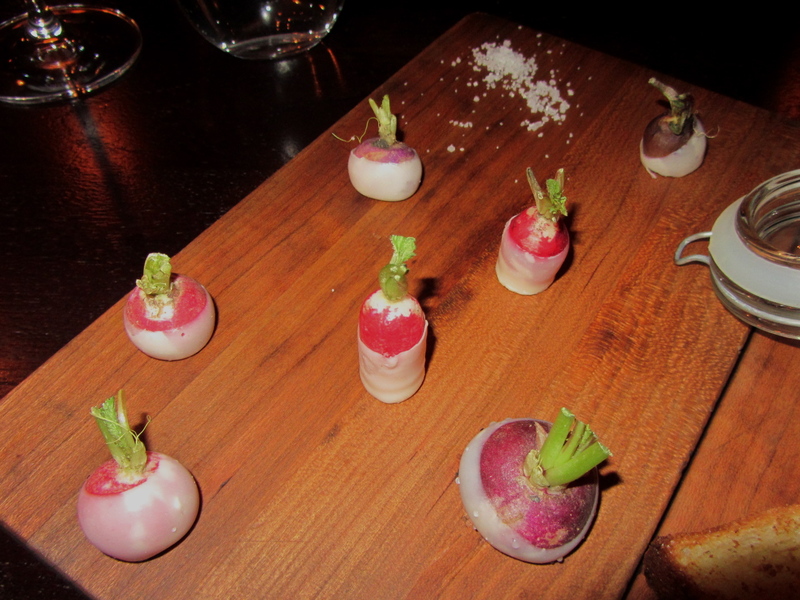 From the tapas style “snacks” portion of the menu we started with the butter-dipped radishes and fleur de sel. Like chocolate dipped strawberries, each little radish was coated in a thin butter shell, which really did a lot to make these not feel like rabbit food. Clean, crunchy and bright, I was a fan. Also from the “snacks” section, was the recommended beef tartare with cornichons and horseradish. 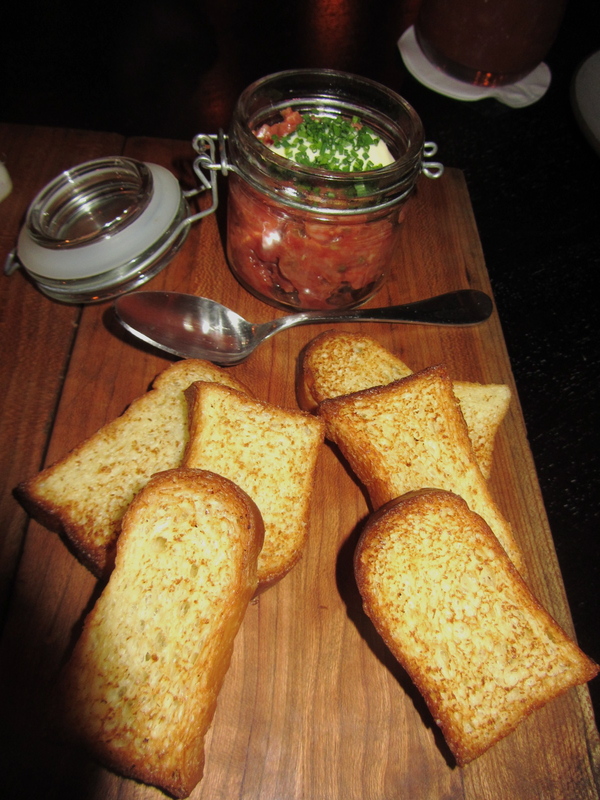 The beef tartare itself was delicious, creamy and flavorful with a subtle tangy hint and the little toasts that came with it were perfect bread specimens if you ask me, toasty and crunchy on the outside but soft and fluffy on the inside. 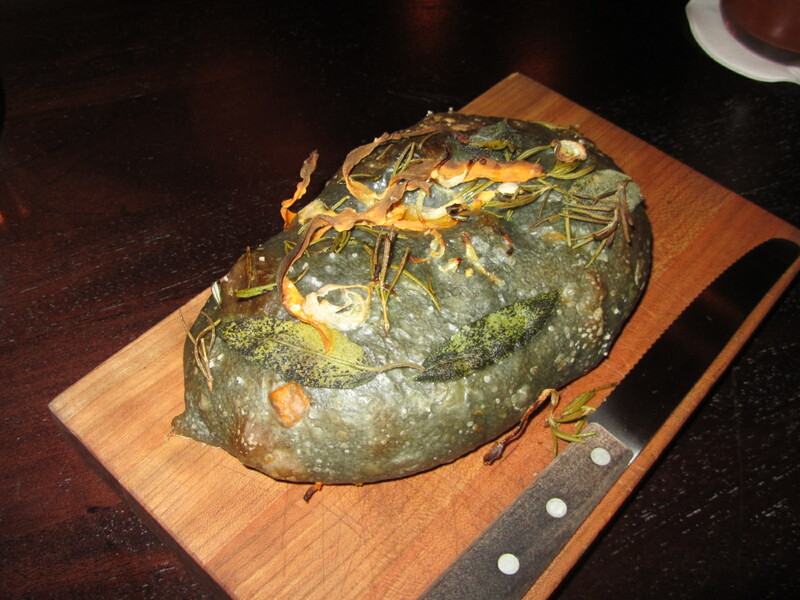 Next our waiter brought out a loaf of some of the craziest looking bread I’ve ever seen. 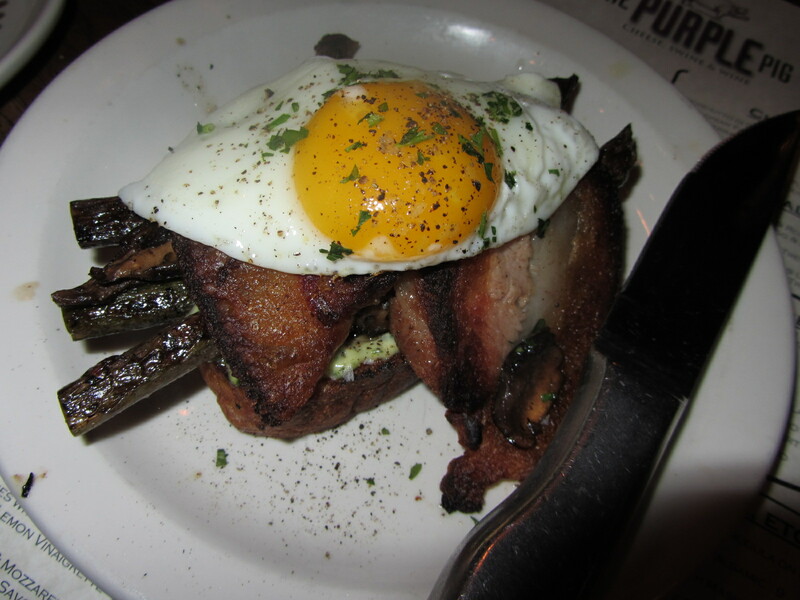 It had a greenish-purplish color to it and looked like it might’ve been picked up off the floor in some enchanted forest, the kind where you could do that and find delicious bread. There were bits of rosemary, thyme and other herbs baked into and on the bread and the consistency itself was soft and doughy. And then, the $79 chicken. 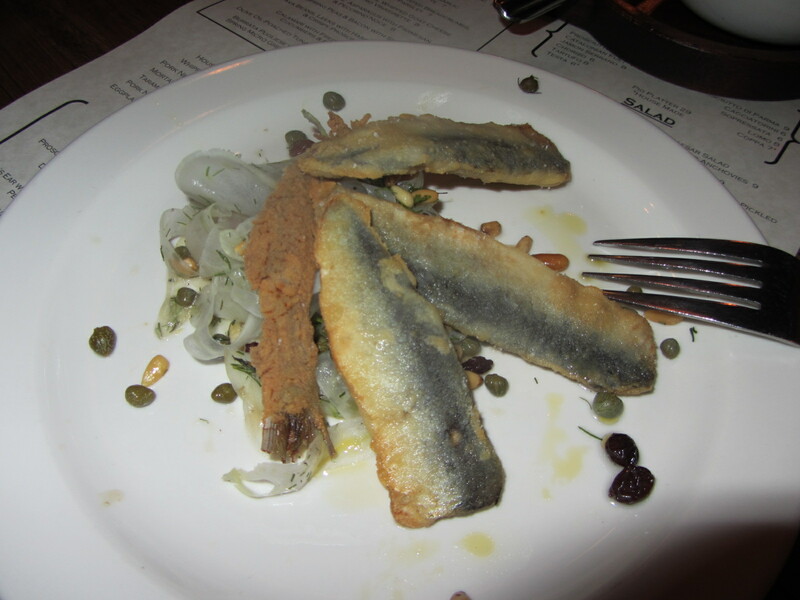 Not that it softens the blow much, but I’ll mention that this dish is meant for two. After much deliberation, my coworker and I decided that as much as we hated to pay about $40 for chicken, we really just needed to know what this was about. 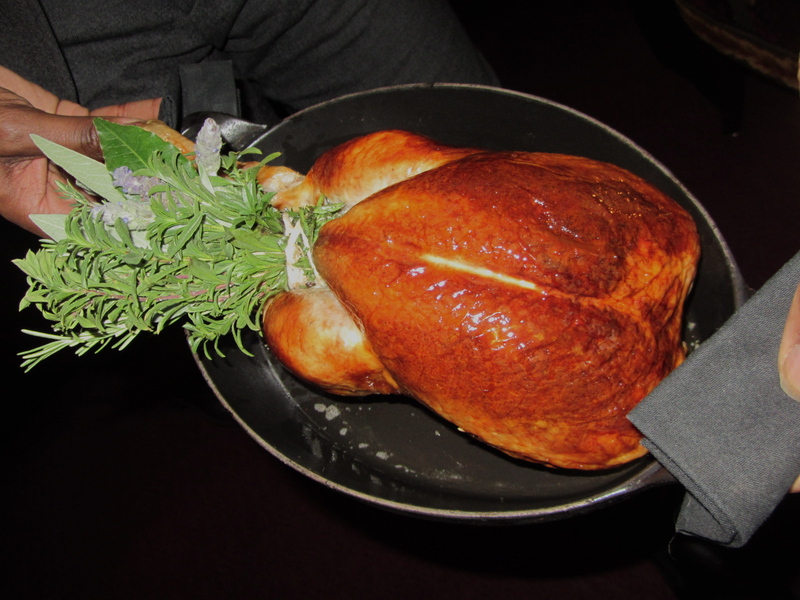 So here’s how it works: the waiter brings out this beautiful, almost-glowing whole roasted chicken in a pan, with what looks like a whole bouquet of aromatic herbs sticking out of one end. They show you the chicken, you ooh and ahh, and then they take it away for a moment. What they do is they take apart the chicken and bring it back served two ways. 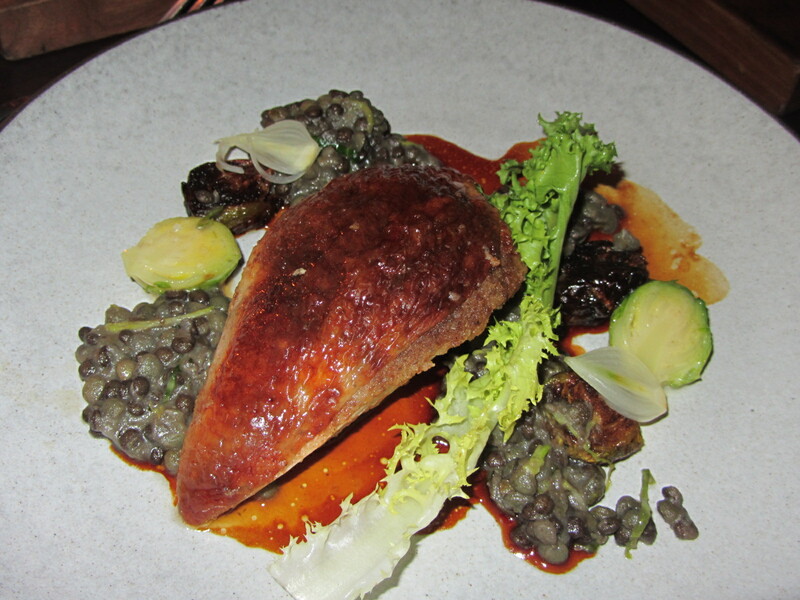 First, on separate plates, two large pieces of juicy, tender chicken with the most perfect, just-right crunchy skin, served on a bed of rich, hearty lentils and plump, soft Brussels sprouts. Underneath the chicken breast, warm black truffle laced stuffing of brioche and foie gras. I mean, really, this chicken was fancy. Everything was just… perfect. Delicious, decadent and absolutely perfect. Then, in a smaller, sort of cast-iron dish was the chicken’s dark meat, served in a rich, buttery sauce of mushrooms and truffles. 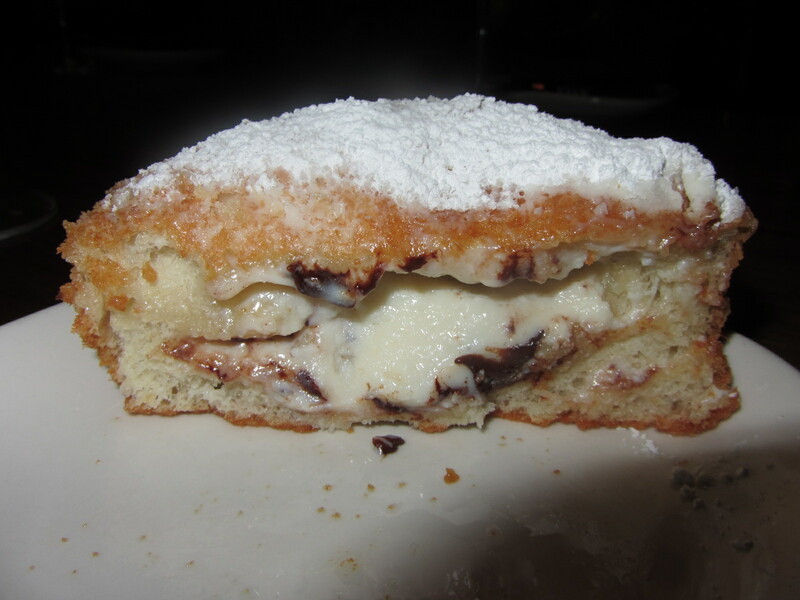 Again, totally over the top and decadent but so, so, SO good. I could easily have eaten this whole $79 chicken production by myself it was so fantastic. To accompany the chicken, the waiter recommended we get a vegetable, so again taking a cue from our pricey poultry, we ordered the $20 carrots. (Pause to freak out and consider the excessive amount of carrots you could buy for this amount at the market. Ok, now stop.) 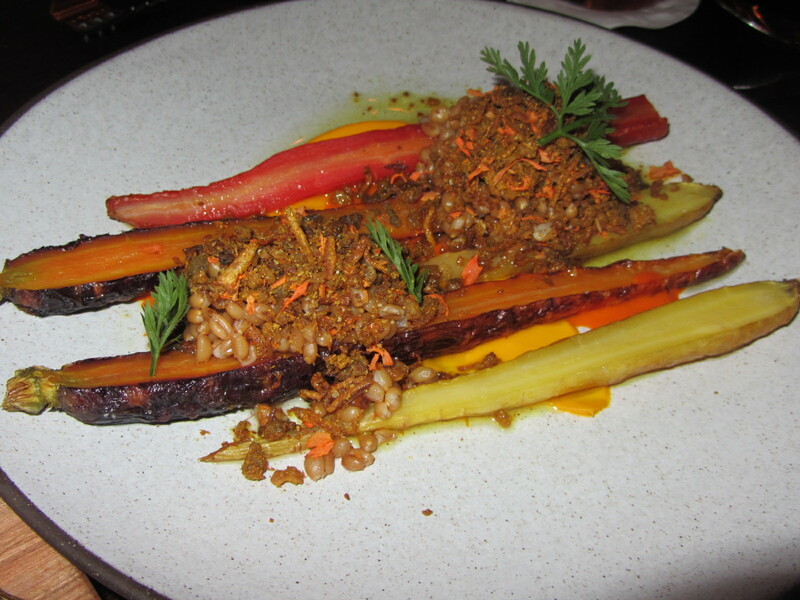 These fancy roasted carrots were long, elegant, stylish things, all glazed and dressed up with cumin and crispy duck skin for a completely new and so much better carrot experience than I’ve ever had. 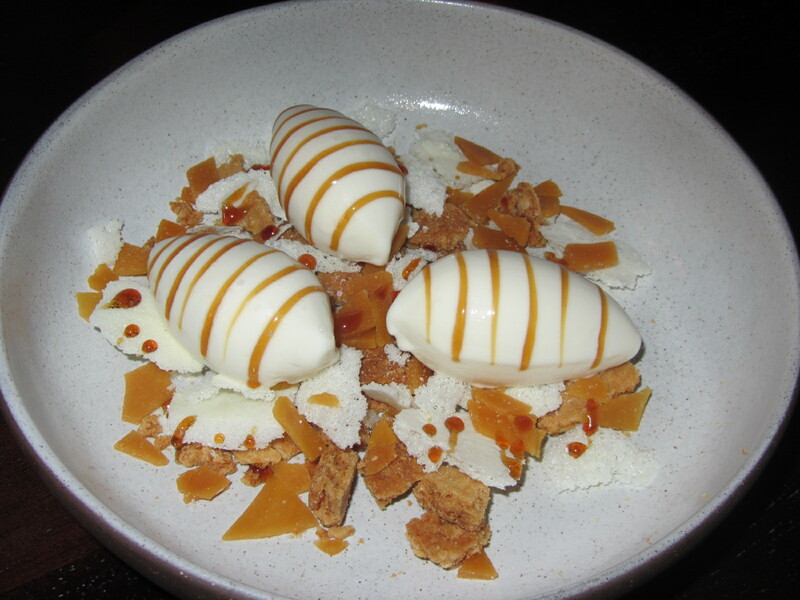 And finally for dessert we shared the much lauded milk and honey, a plate of ice cream, brittle and shortbread that won points for color, flavor, texture and consistency in my book. The ice cream was milky and thick, the brittle and shortbread crunchy and buttery in a caramel, toffee way (even though one coworker said she was stabbed in the mouth by a particular shard of brittle) and the dehydrated milk flakes were crisp and airy, like pieces of sugary meringue. But just when we thought it was all over and we could leave with lighter wallets and heavier, happier stomachs, out came one more thing: an assortment of sweet treats from the pastry chef. 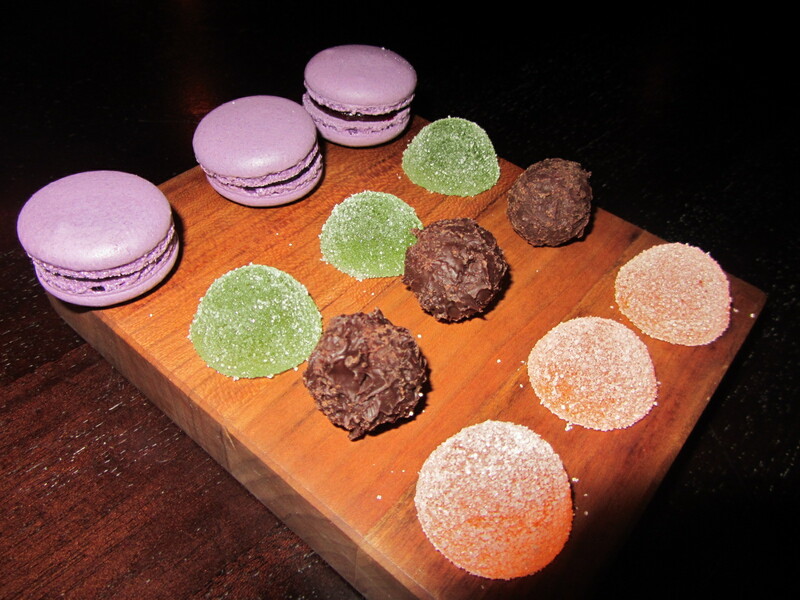 There were macarons, fruit gelees and what turned out to be my favorite, lapsang souchong truffles. They were smokey, rich and chocolatey and if I had a dozen of them in front of me, I’d probably go through all of them. So yes, like so many other things in this absurd city, dinner was expensive. But you know what? Like this crazy, sucking-my-bank-account-dry city, it was awesome. Every lunch I have from now until God-knows-when will pale in comparison to the meal I had Monday. The deli sandwiches, microwaved leftovers and salads that usually constitute my lunch will forever live in the shadow of what I had yesterday. 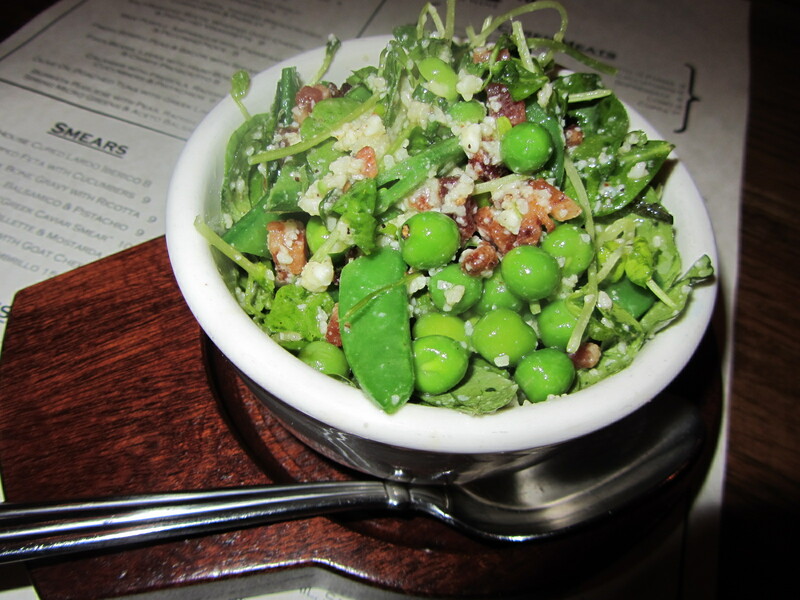 The lunch I ate is what I might have answered to the question, “What would you want to eat as your last meal?” It would be the answer to that question if I sat and fantasized about it and dreamed up a menu of the most incredible ingredients and amazing dishes. It was better than a daydreamed answer. It was real and it was lunch at a New York institution, the original home of the power lunch, the Four Seasons Restaurant. Thanks in part to a piece featuring the restaurant’s managing partners written in the magazine I work for, and part because of friends in high places (i.e. my wonderful friend who works there), and part to an all around aligning of the planets or divine intervention on behalf of the food gods, my friend Joe and I had the great honor of being invited to lunch at the Four Seasons Restaurant. I’ll let the photos do most of the talking, but neither pictures nor words could really do much in the way of doing this food any justice. It was just too good. But I’ll give it a shot. 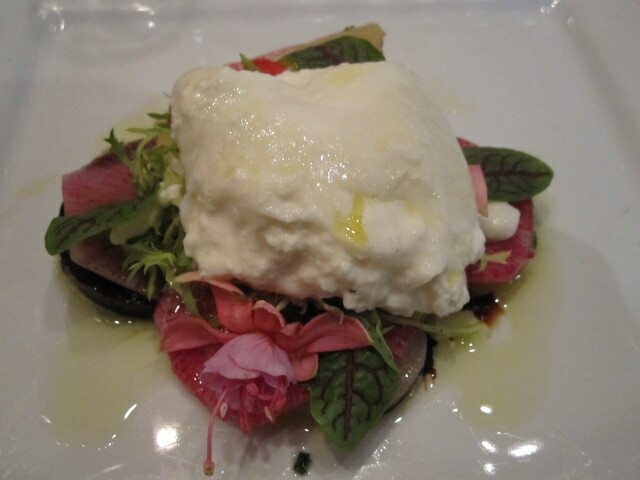 While each item listed under appetizers sounded better than the next, I knew immediately what I would order when I laid eyes on it: burrata and roasted beets. 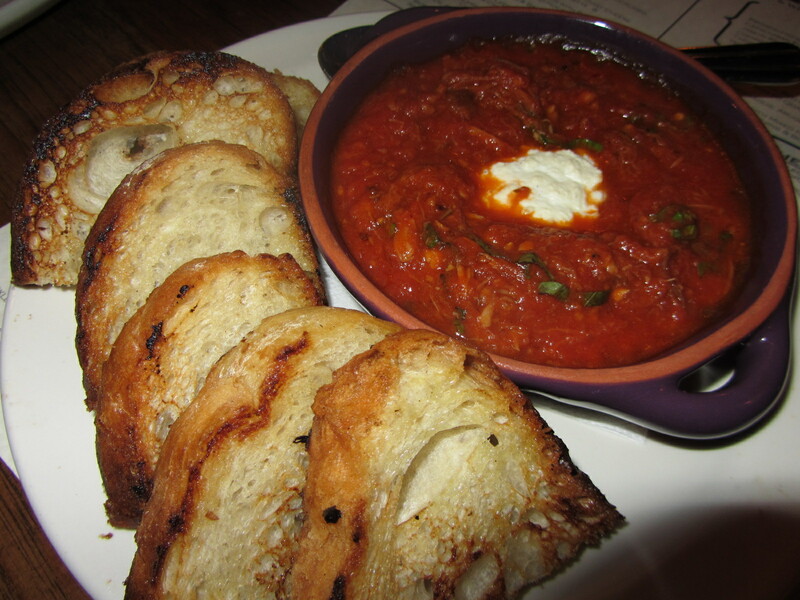 Burrata is a creamy white Italian cheese made from a mix of mozzarella and cream. When I lived in Italy I ate it whenever possible but this was the first time I had had it since I moved here almost nine months ago. Along with the soft juicy pear halves and the roasted beets, it was a magical reunion to say the least. 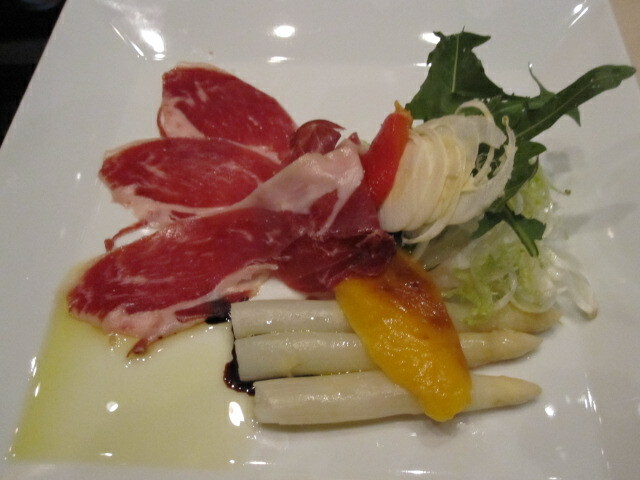 Joe opted for the day’s special: Spanish ham with white asparagus, grilled peppers and hearts of palm. (It should go without saying that of course I had a bite.) A great mix of colors, flavors and tastes. 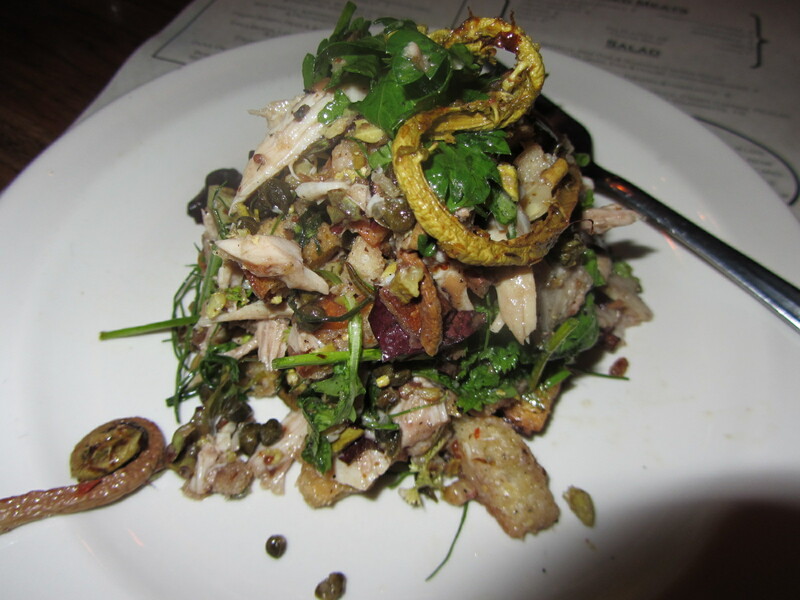 Next up in our line-up of mouth-watering eats were the entrees. 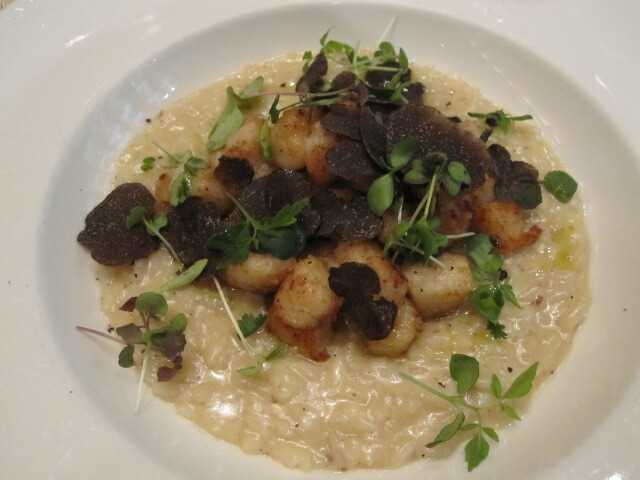 I ordered the Nantucket Bay scallops with black truffle risotto. I’m usually not crazy about scallops but these were like nothing I’d ever had before. And the black truffle risotto was on par with the best risottos I ever had in Italy. Best of all, this wasn’t truffle oil or truffle essence, it was whole flakes of delicious black truffles, with an aroma so good it was almost hypnotizing. 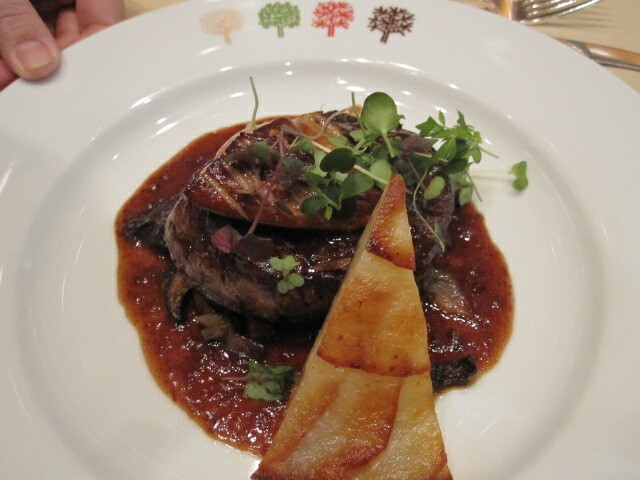 With some encouragement from me, Joe went for the bison filet with foie gras and black truffles. The meat, cooked to a perfect redish pink, was juicy and soft, and mixed with a bit of the foie gras and truffles, it really did almost melt in your mouth. Meat like this, while it’s not something I eat often, or ever really, is the kind of thing that keeps me from giving up meat. Passing up something so amazing would be like passing up sunshine. 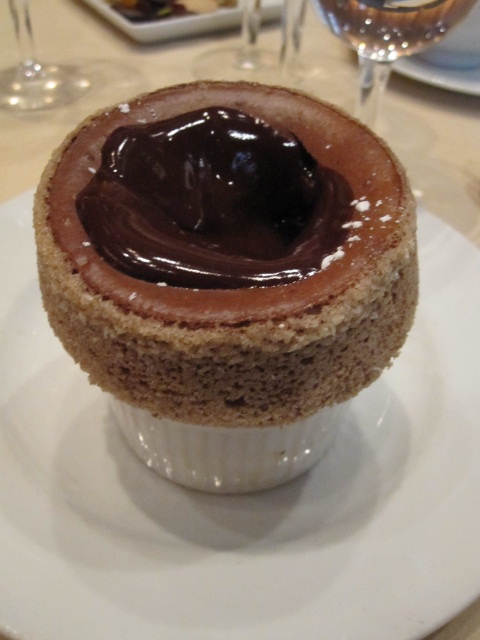 My favorite part of most meals is dessert, and while it’s practically impossible to choose a favorite from such perfect dishes as the ones I had here, the chocolate soufflè I ordered (on my friend’s recommendation) was definitely a contender. A soft, warm chocolate cake came perched on top of a porcelain dessert cup along with a small bowl of thick warm chocolate. When he placed it before me, the waiter used a spoon to push in the middle of the cake, which he then filled with heaping spoonfuls of hot, gooey chocolate. This is the stuff chocolate dreams are made of. Joe’s dessert, while listed simply as cheesecake, was actually almost three desserts in one. 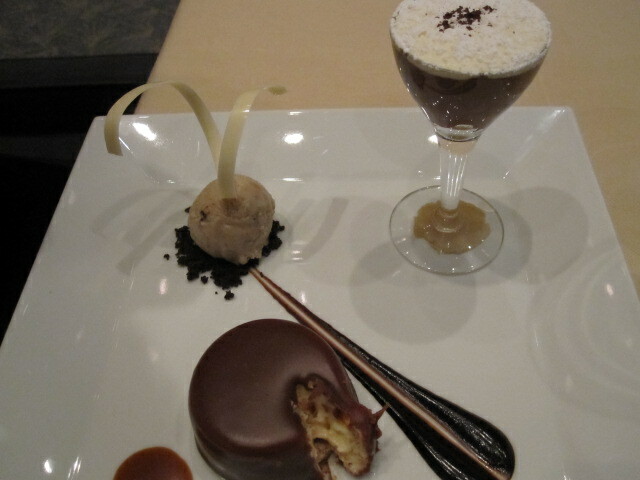 The cheesecake itself, coated in a soft layer of chocolate, was smooth and creamy, almost like a custard. It also came with a little glass of chocolate mousse topped with a soft, almost-frothy whipped cream, and a round little heap of what tasted like hazelnut sorbet. A fantastic end to a fantastic meal. A very sincere thank you to the Four Seasons Restaurant, to my friend there whose job and daily lunch options I envy more than anything else now, and to the food gods who decided to shine all their good graces down on me and grant me one of the best lunches I’ve ever had.